Published: July 4, 2012 | This entry was posted in North American New Right and tagged book excerpts, Brooks Adams, capitalism, economics, England, English Civil War, India, John Hawkins, North American New Right, Oliver Cromwell, piracy, Puritanism, reprints, Robert Clive, slavery, Spain. Both comments and trackbacks are currently closed. England’s colonization of the New Word was far better than Spain’s, in every way, so I’m not complaining about the outcome of this. Yes, almost all the population that was there before was eradicated – This made matters simpler, don’t you think ? I did make it simpler, yes. Spanish colonization resulted in race-mixing on a horrific scale, and the creation of mestizo races and failed third-world countries. English colonization, where settlers brought their women, resulted in the successful expansion of white people across the oceans. Spaniards gave us Mexico and Colombia, while Brits gave us the US and Australia. Oddly enough, the latest Pirates des Caraïbes touches upon the issue. I have started reading the article but was unable to finish it for the overwhelming quantity of historical errors it contains. One could say that these are not errors, merely history viewed from the Anglo-saxon side. But error of appreciation certainly it is not to mention that the key to the series of conflicts that occurred between England and Spain stemmed from the Reform and the Counter Reform, and thus from the two philosophical approaches – not to say theological – both countries possessed then. 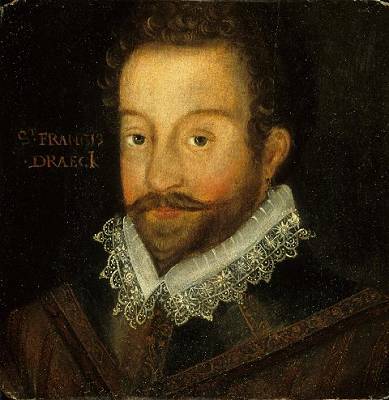 For example, Drake was a catholic hater (he had been humiliated by the Spaniards at the battle of San Juan de Ulua – where he had deserted his cousin Hawkins – and had never quite recovered from it). His only aim was thereafter to take, pillage and destroy everything Spanish or Catholic. He planed to begin with Santo Domigo, Carthagena and Panama. He left England on the 14th of September 1585 with 23 ships. He stayed a month in Santo Domingo destroying it bit by bit like a sadist – he only succeeded in getting 25.000 ducats of ransom money although he had hoped for 500.000. He then went on to Carthagena which he completely destroyed with a savage fury, although there was absolutely no need for it. Just as an example, the locals had started building a cathedral which was near completion. Drake used one of ship’s guns to destroy it slowly shot after shot, this was his manner of relaxing whilst his men were plundering the ruins during the six weeks of his stay. There again, he took in money only a quarter of what he had expected. Drake dropped his idea of attacking Panama, he had lost 2/3 of his men and what remained of his fleet was in poor state. He returned tail between the legs to England with the news of a massive loss of money for those who had invested in his venture. Never mentioned as such in the English history books is the British attempt to invade South America in 1741 and their defeat at the hands of the Spaniards at Carthagena. They had prepared the most formidable force of invasion (only surpassed once in History in Normandy two centuries later). 180 warships, 23.000 soldiers commanded principally by the famous admiral Vernon. The Spaniard had only 6 ships and 3.000 soldiers. The siege and the battles lasted for 67 days. Most of the British fleet was destroyed, and 90% of the men never returned home. These conflicts were that of two conceptions of the world, the traditional catholic one of the Spaniards, and the protestant one of the English. Failing to take this into account it is impossible to understand what was at stake. One can refer to the biography of Blas de Lezo(the Spanish admiral at the battle of Carthagena) – written from English and Spanish sources – I recently wrote and published at Les Editions de La Reconquête.